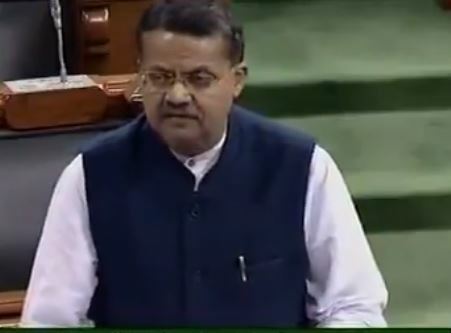 New Delhi: BJD Parliamentary Party leader Bhartruhari Mahtab in Lok Sabha on Tuesday alleged that former MP Baijayant Panda and his wife had bank accounts in a foreign country. “An Indian passport holder did not take the approval of the government or the RBI before the companies, in which the person, and his wife and his family friends have controlling and beneficial interests, opened bank accounts in the tax haven of Nassau, Bahamas. I am talking about Mr B J Panda,” he said during the Zero Hour. The senior parliamentarian said that Baijayant’s defence was that he was either a student or an NRI at the relevant time and therefore, he did not need prior approval of the RBI or the government before opening the account. However, three questions remains, said Bhartruhari. Did he declare the account to RBI once he returned to India and ceased to be an NRI as required under the law? 2. Did he intimate the RBI and the government when closing the account? 3. Did he repatriated the entire amount held in these foreign bank accounts as is required in the law? The BJD MP wondered If Baijayant was not liable for criminal prosecution under several Indian laws relating to foreign exchange violation and money laundering. Baijayant, who was suspended from the primary membership of the BJD in January 2018 for indulging in ‘anti-party activities’, had quit the party in May the same year. Responding to the allegation, the former MP said that neither his family companies nor he have any account in Bahamas. “For 60 years various family companies have done business dealings all over the world. These are all through official channels and with intimation and approval of concerned authorities like RBI etc and are in the public domain,” he said.